Spicer Transmission & Spicer Auxiliary Transmission Exchange. Welcome to Truck Transmission Warehouse, the new, used and rebuilt Spicer truck transmission wholesale store. We offer; rebuilding services, new and used units, fully rebuilt models and, OEM repair parts and after-market replacement parts for: 5, 7, 9, 10 and 18 speed Spicer models. Specializing in rebuilt Spicer transmissions and truck driveline components like: Truck Transmissions, Differentials, and Axles & Transfer Cases and PTO. Truck Transmission Warehouse supplies quality Spicer transmissions and genuine Spicer repair parts to owner operators and transportation industry professionals worldwide. 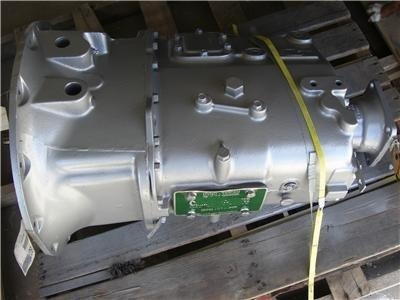 Buy Spicer 5, 7, 9, 10 and 18 speed transmissions, used units, bearing and rebuild kits, and repair parts at a discount. We specialize in Spicer transmissions® as well as all other heavy-duty truck transmission models and parts. We understand downtime costs you money, and we are committed to getting you back on the road as soon as possible. With our inventory of ready to ship and ready to install Spicer exchange transmission models we have that handled. We need the data tag number off the side of your Spicer transmission to insure you get the correct transmission model you need. With that number we can be sure you receive the correct model setup the way it needs to be as well as any parts needed to do so. If ever there is a warranty issue with any of our units, it is handled quickly through our centralized ordering system by contacting your representative no matter where you are. They will coordinate with our partnering repair facilities and local inventories of Spicer transmissions to get you back on the road fast. Our single point ordering system makes it easy for you to get the correct Spicer transmission or parts you need from a new, used or rebuilt Spicer transmission or a bearing or rebuild kit to repair one.